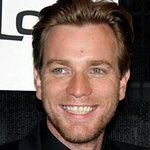 Ewan McGregor will host a special event for charity in Los Angeles this Friday, November 20. The 2009 Go Go Gala will benefit the Go Campaign's efforts to help orphans and vulnerable children in countries such as China, Kenya, Liberia, Peru and Tanzania. Taking place at Social Hollywood at 6525 West Sunset Blvd, the event will feature a selection of cirque performers as well as a special performance by Dave Stewart. Guests will include Evangeline Lilly. The Go Campaign is dedicated to empowering orphans and vulnerable children throughout the world to secure a better future. It raises awareness and funds for those programs that would otherwise fall through the cracks, those programs which provide basic human needs to children such as shelter, food, clean water, education, medical care, vocational training, and income-generating activities. To find out more info about the event and the campaign, click here.